All your business’s reviews from different channels in just one place. Monitoring all your reviews on different platforms one by one could be time-consuming when you have a business to run. With Meegle, everything is simpler. 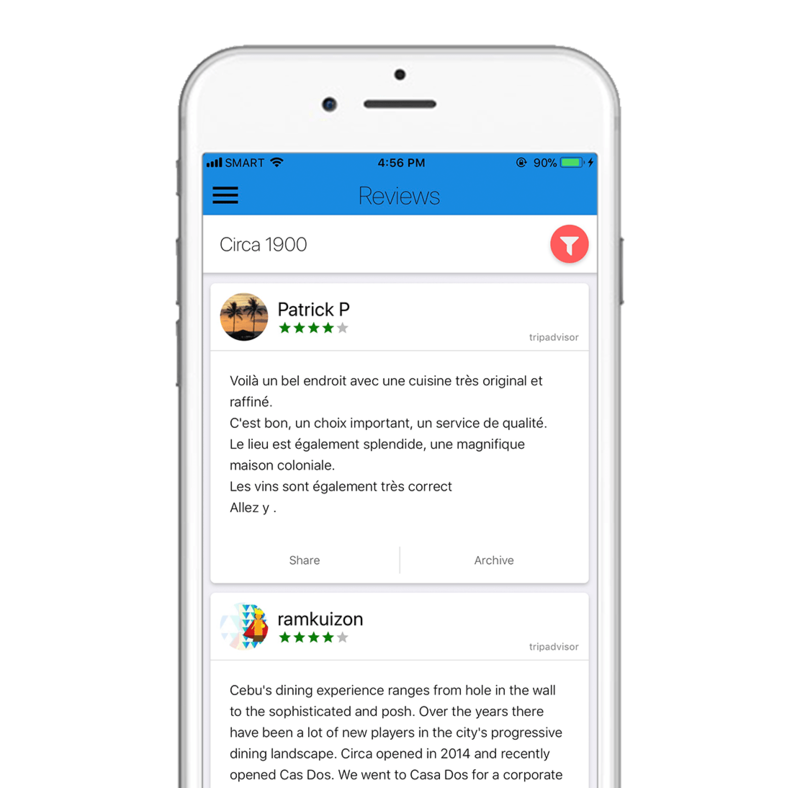 See and manage all your customer’s reviews from different review channels in real time. Going through those hundreds and thousands of reviews one by one would be impractical. Meegle lets you track your reviews by channel, customer rating, and whether if the customer review was replied to or not. Easily discover what makes your customers happy and how to keep them that way. A business sharing reviews on their websites builds a sense of trustworthiness in a potential customer’s perspective. Have you been getting good reviews from your customers lately? 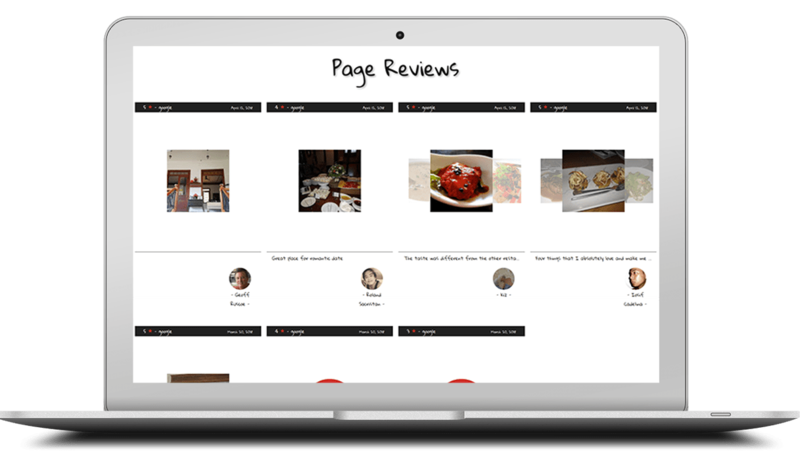 Brag about it on your website by sharing your reviews from best customers right from the Meegle business platform. Be on top of your customers’ reviews wherever and whenever. 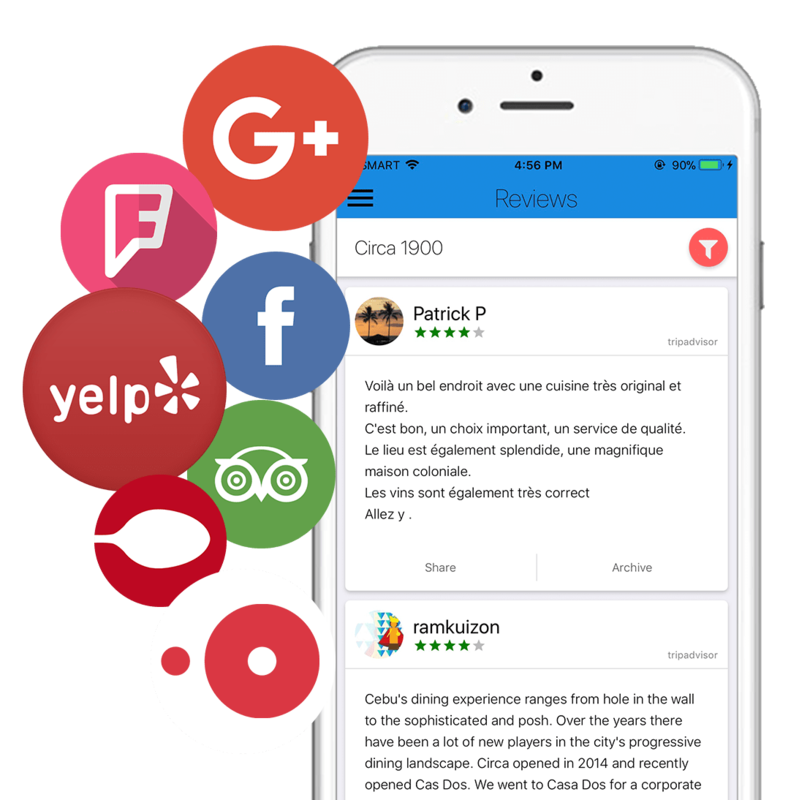 Right from for mobile phone, swipe through all your real-time reviews and get to know your customers from different third-party platforms with ratings and reviews. Have access to your customers’ insights and make the most suitable business decisions to make them happy.